As our thoughts on transportation evolve, it’s important to look at options beyond car ownership, especially as ride-hailing apps become a bigger part of our future. 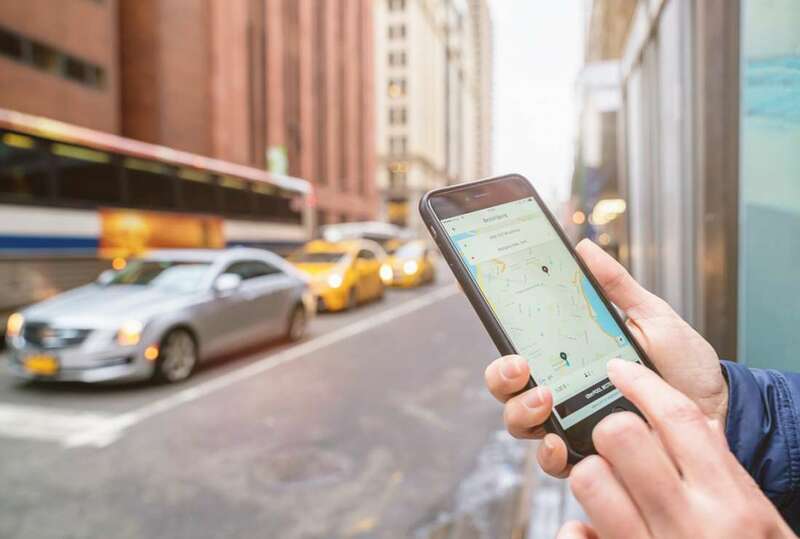 Depending on the type of car you buy and your lifestyle, there’s a chance that it could be cheaper to rely solely on services like Uber and Lyft for your commute and errands rather than buying a vehicle for yourself. The online calculator Ride or Drive looks at both the cost of buying a new car and the fares associated with ride apps, and figures out which option is best for you. It’s simple: Ride or Drive looks at the cost of the vehicle, loan term, interest rate, fuel efficiency, and other factors to get a gauge on how much a vehicle purchase will set you back over the years. Then it considers how many trips you take per day, the duration of each, and the annual mileage you accumulate. The last part, according to the calculator, is the “most critical consideration”: How do you value your time? For this section, the calculator asks “How much would you pay to not be stressed driving around town? How much would you pay to catch up on email, read a book, or take a nap?” Basically, how much would you be willing to pay to save the time and aggravation of driving? The monetary value of catching up on emails, doing some light work, or even taking a nap in a Lyft or Uber varies from person to person, so this section isn’t quite as black and white as the others. But as the calculator stresses, it’s important to the fundamentals of its calculations. If your car is less expensive, more fuel efficient, and you get a good deal of use out of it, chances are that buying a vehicle is your best bet, as Fast Company points out. However, Uber or Lyft might be the better choice for people who don’t have long commutes or have their eye on a gas guzzler. A car’s cost is about more than the sticker amount slapped on the windshield at the dealership. It’s about gas, maintenance, mileage, insurance, and—yes—even your time. 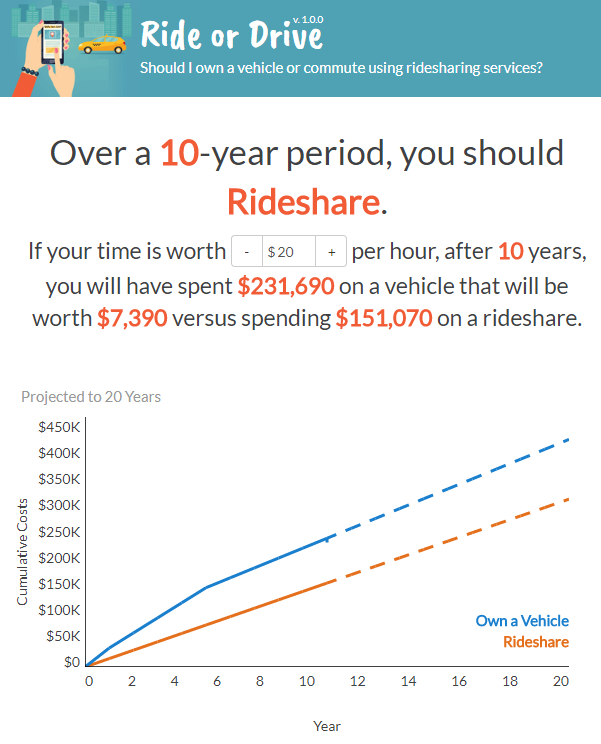 So seeing all of these costs visualized on the calculator’s graph at the end can help people make a more informed decision on the cheapest way to get around.